NOTE: This content is old - Published: Saturday, Sep 8th, 2018. Outline plans for the development on land at the back of the Grade II listed Llay Miners Welfare Institute were first approved in 2016. Reserved matters relating to the appearance, layout and scale of the site, which is being built by Gower Homes, went before Wrexham Council’s planning committee at the start of last week. The proposals were backed by a majority of councillors with 12 in favour and four against. Llay councillor Bryan Apsley said he had been approached by residents living on Drill Hall Court, who were unhappy with how close some of the houses would be to their own. He said: “In the report there is a comment that there is 70 per cent more open space than required by legislation. “Why is the layout necessary to have these two houses in Drill Hall Court which are very close to plot one? In response, planning officer Matthew Phillips said he was satisfied the proposals would not have an unacceptable impact on neighbours. 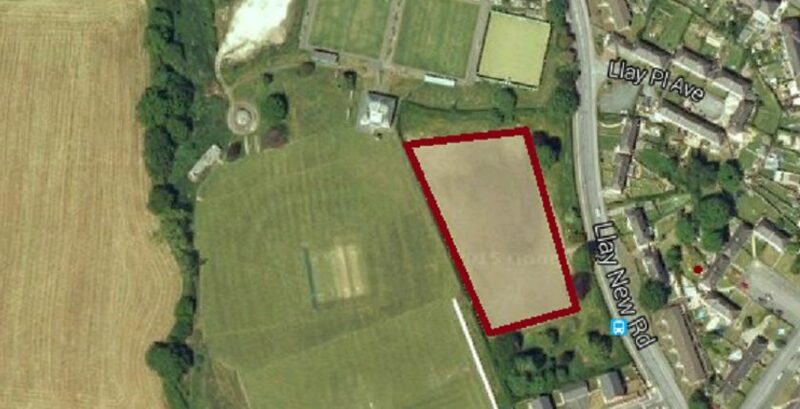 Initial plans to build 25 homes on the site were rejected in 2015 because of the loss of trees, lack of onsite parking and the proposed layout, but were granted the following year after being revised. Mr Phillips said: “The issue is being dealt with the same way. “We don’t look at the name on the application form and treat anyone any differently. Llay Miners Welfare Institute was built between 1929 and 1931 and was listed by Cadw because of its historical association with the North Wales coalfield. Mr Phillips said open space had been positioned near to the institute in order to protect it.